Selenium webdriver software testing tool tutorials on Advanced User Interactions API, Advanced TestNG Tutorials for webdriver software testing tool, AutoIT software testing tool With Selenium WebDriver Tutorials with practical examples on software web application. 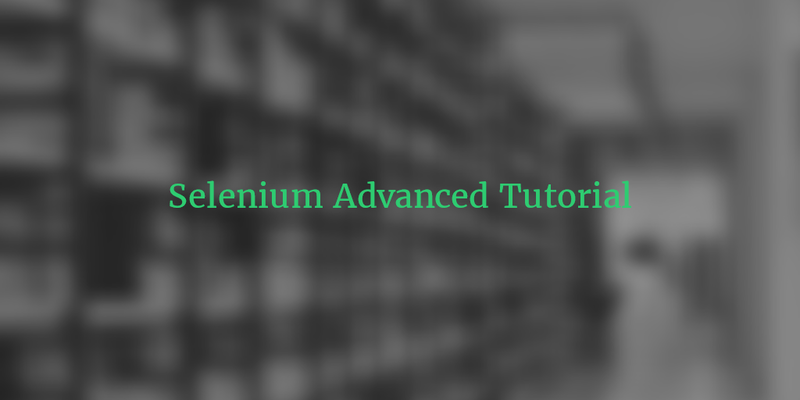 Before going for selenium advanced tutorial, I recommend you selenium tutorial for beginner to start from basic. Hi, when will you post remaining tutorials?